On completing a degree in Computing Science almost 40 years ago, Alastair joined the technology industry and has never looked back. He wrote his last line of code in 1990 before leading his first team of software engineers. It was here he developed his passion for creating opportunities for people and helping them grow. Alastair then worked extensively across the energy and financial services sectors whilst with Real Time Engineering. In 2002, inspired by the creation of a number of new public sector frameworks in Scotland, he launched a public sector division. For the last 15 years he built the business to employ 350 technologists. As Cloud and Apps Director Alastair leads our Cloud and Apps business, driving Incremental’s strategy in this field, managing partnerships and driving successful customer projects. 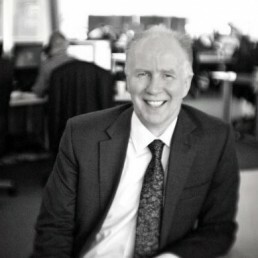 Alastair is a board member of CodeClan and Scotland IS. He also sits on Glasgow University’s Computing Science Industrial Liaison Board. He was previously Chairman of Scotland IS and a board member of techUK.